La La La La Lollipop! La La La La Lollipop! – 365, 237, originally uploaded by Fluttering By. We had an uber crafty kind of day. First, we melted crayons into rectangles making them block crayons. 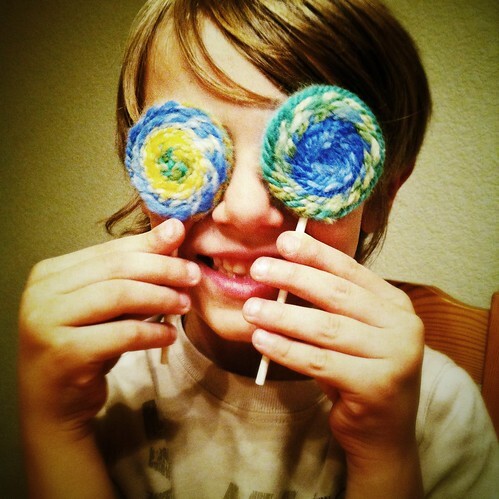 Then, while we were waiting for them to melt, we needle felted my handspun merino wool in to some lollipops. Yeah, I think it’s safe to say that the kids had a good time.